The Parker Wetlands Conservation Committee (PWCC) is an ad hoc committee of individuals who have worked together, on and off, since 2009, advocating for the protection and preservation of the Parker Forest and Wetlands. 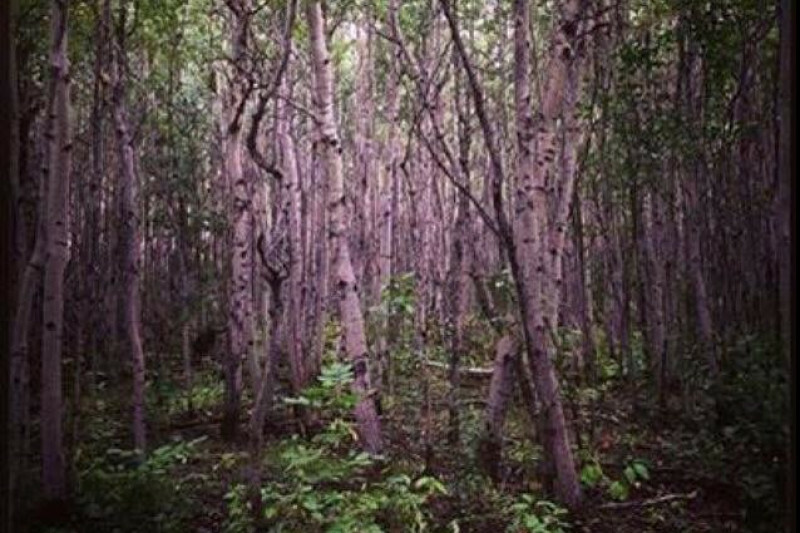 This unique and beautiful swatch of land, close to the heart of Winnipeg, consists of Grade A Aspen Parkland, Grasslands and wetlands. This beautiful parcel of ecologically sensitive natural heritage land was ceded to a developer in a controversial land-swap. The developer is now in the process of planning a housing development that would destroy the remaining Grade A Aspen forest and wetlands. 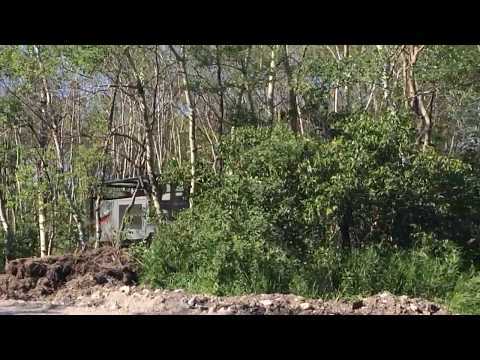 Although this developer had promised not to do any demolition until the development plans had been approved, shredding machines arrived on site on July 13, 2017, and close to 15 acres of Grade A Aspen Parkland were clear cut within a couple of days. We believe that many nesting birds and animals were killed, injured, and displaced as a result. 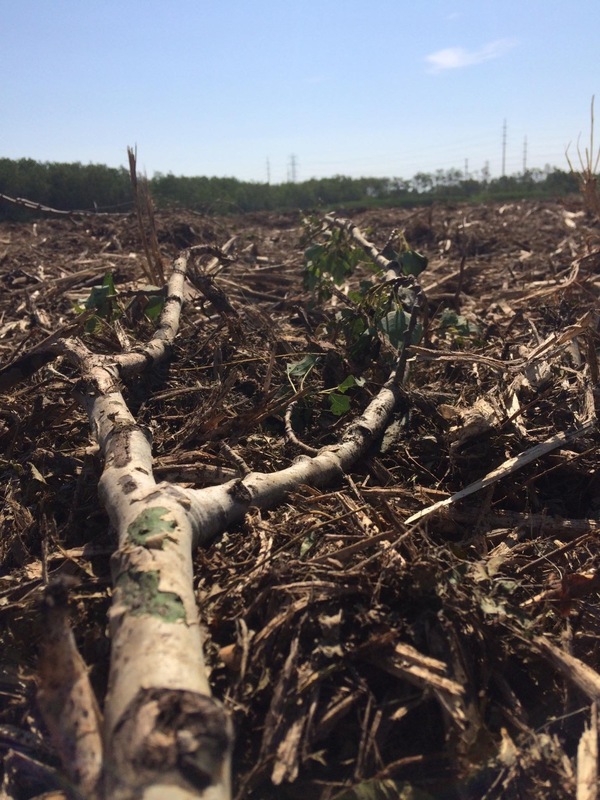 This destruction of the forest, and what we believe to be cruelty to animals, got the attention of individuals and groups from all areas of Winnipeg. A group of protestors spontaneously took action and surrounded the equipment to prevent further shredding and possible killing of animals. The protest movement continues to grow under the name of Rooster Town Blockade. These activists are passionate and determined to maintain the blockade until the developer guarantees to halt clear cutting, at least until the development plans have been approved by City Hall. In addition to the negative environmental implications, cruelty to animals, and loss of green space, Metis and Indigenous activists assert there was never consultation with any Indigenous groups regarding the 2009 land swap. On July 20, 2017, the PWCC and a number of individuals were named as defendants in the developer's attempt to seek an injunction against those participating in the blockade. As stated above, the PWCC is an ad hoc committee and therefore has no funding available to defend itself against a wealthy developer. We are seeking donations to cover any legal costs taken on by PWCC. Any amount you can contribute is greatly appreciated! At the first court date on July 26, 2017, the injunction was denied. In preparation for this court date, legal advice and representation was obtained, so legal bills are already accumulating. Thank you for taking the time to read through this and we hope you can assist us in our goal of raising $15,000 over the next few weeks. For an historical look at PWCC's efforts over the years, please go to http://www.parkerwetlands.doodlekit.com/home . You can keep up to date with PWCC by visiting and liking us on Facebook at https://m.facebook.com/ParkerWetlandsConservation/. Visit Rooster Town Blockade's Facebook page at https://www.facebook.com/roostertownblockade/. This fundraiser for the Parker Wetlands Conservation Committee offers amazing orchard-fresh Ambrosia apples. Please pre-order by contacting this page. Pick up date and location to be confirmed. Cash or cheque accepted. Payments accepted are cash and cheque. The Parker Wetlands Conservation Committee (PWCC) has advocated for the preservation of the Parker Wetlands and Aspen Forest since the land-swap in 2009. Those who participate in PWCC’s efforts are members of our community, not just from the Beaumont neighbourhood, but from all over the City of Winnipeg. They may have attended a meeting five years ago, or gathered signatures for a petition over the course of two months. Others have been involved on and off since 2009, or came out one time to protest in front of City Hall. Regardless of the extent of their involvement, these are all volunteers who gave, and continue to give, of their time to advocate for what they strongly believed was a natural area worth preserving. PWCC’s efforts have always been above board, following the process, and voicing opposition and alternate solutions when given the opportunity. From presenting at City Hall, to meeting with City Councillors and Members of Parliament, from hand delivering information flyers, to hosting town hall meetings and rallies, the PWCC has pursued every lawful avenue possible, in the hopes that Winnipeg’s leaders would be open to making informed decisions that would be in the best interests of its citizens and the environment. Although the PWCC did not participate in the Rooster Town Blockade, it and a number of individuals were named as defendants in the developer’s attempt to seek an injunction against those participating in the blockade. At the end of July, PWCC launched this gofundme campaign to raise funds to cover legal costs required to defend itself against this wealthy developer. The injunction was denied on July 26, 2017, but granted on September 14, 2017. Legal costs for the named individuals who are involved with the PWCC have already surpassed $5000. In order to continue its defense, we are doing an apple fundraiser (check out our Facebook event) and renewing our appeal for donations, either directly to PWCC (email parkerwetlandscc@shaw.ca) or through the gofundme campaign. Any amount is appreciated!